Situated at the distance of 78 kms to Dehradun, Kanatal is one of the tranquil hill spots in the Tehri Garhwal district of Uttarakhand. 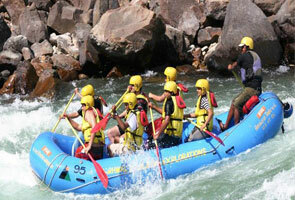 This attraction spot offers captivating view of Garhwal Himalayan peaks. Located amongst several hills, Kanatal is not congested or highly developed like many other frequented hill stations of Uttarakhand such as Mussoorie and Chamba. The name of Kanatal is given after an invisible lake, which once existed in this hamlet and now completely dead. 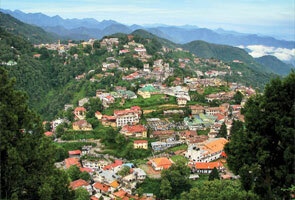 This small town serves largely as a weekend leave for the local people. Sets up at an average altitude of 8500 ft above sea level, Kanatal attract numerous travelers every year to its natural beauty filled with snow capped hills and lush greenery. The perfection of this place is invincible; Kanatal is dissimilar other hill spots has convenient connectivity with motorable roads but it is far-flung in its own way while the picturesque beauty of this place freshens up us with tranquility and peace. There are a few very popular attractive places nearby Kanatal, mainly popular of which is the Surkhanda Devi Temple situated at a height of 9995 feet that is the highest peak of the village. 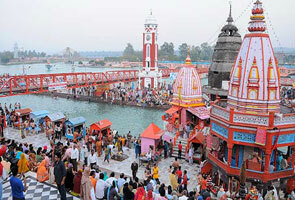 Other main attractions include Tehri Dam and Kodia Jungle. Tourists travelling Kanatal can mostly indulge in relaxing activities, like lazing in the sun, taking a walk through lush green fields, or just picnicking with family members and friends. 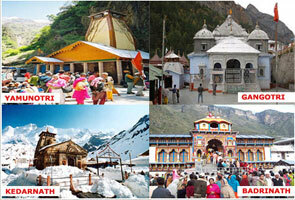 Kanatal has relaxing and pleasant weather so one can visit Kanatal throughout the year. Kanatal temperature changeable between 10-20 degrees Celsius in summers and in winters it falls to about 5-10 degrees Celsius. So bring light woolens while a visit in summers and heavy woolen clothes if you are planning a visit to Kanatal in winters. As Kanatal is a far-flung hill station and still it is not urbanized, so one does not easily find any fast food corners and restaurants here. The only food points you find here are the ones in the hotels and resort. These restaurants provide mostly north Indian food or multi-cuisine.